Every weekday at noon, Alanya dishes up a great block of themed music. 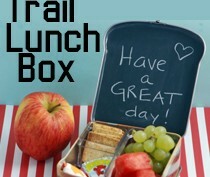 Called the Trail Lunch Box, this is your chance to get grounded in the biggest musical – and sometimes non-musical – events of the day. Is it Jimi Hendrix’s birthday? National Margarita Day? Whatever the day may be, the Trail 103.3 will find a reason to celebrate and a block of music to go along. The Trail is excited to announce its new partnership with The Olde Dairy/The Trough for this daily afternoon event. Located at 2106 Clements Road – The Olde Dairy/The Trough is truly a Missoula mainstay – not only do they serve up the best sammie’s in town, but they’ve got amazing soups, salads and a breakfast sandwich you’ve got to taste to believe, plus pastries and ice cream for those with a sweet tooth. To celebrate this partnership, Alanya will give away a $25 gift certificate to Missoula’s best sammie shop every Monday at noon!